Lori Stahl-Van Brackle was, until September 1, 2016, a Computer Talent teacher in a New York City public middle school. Before she was a teacher she was a journalist and in 1995 created her first Web site for the magazine where she was on staff. She's been excited by digital making ever since. As a teacher she inspired her students to use computers as creative tools and make instead of just consume. She has used open-source programs like Scratch, hacked board-games, and had her students create 3D printed projects. Now she is serving as the Director of Instructional Technology for the Manhattan Field Support Center/NYCDOE. In this role she hopes to help other teachers use technology in their classrooms in creative ways to help engage their students. Teachers can create easy HTML5 webpages on tools like Wix. Screens are everywhere these days, in the restaurants, on the subways, in front of our faces. The only ones we seem able to control are those little screens on our tablets and cellphones, but bring those things into a classroom and who is in control, the student or the teacher? In March, New York City is lifting the ban on cellphones in school. The long outdated policy’s end has been met with skepticism and outright hostile resistance. Why? Well, as a teacher in a computer lab I’m very well aware of the power of the screen, the beautiful blue screen my students seem entranced with when I’m trying to run a lesson, and that’s just the log in screen. How can teachers capture and keep the attention of the students in their classrooms if they aren’t in control of the screens on their phones? Of course, that’s only one issue that has teachers resisting this step into the 21st century; the other issue is teachers don’t realize they themselves have the power to make those little screens conduits into the minds of their students. Mobile app invention can be done on the fly with TouchDevelop. From apps like Google Classroom to website creation tools that are easily accessible on smartphones and tablets, teachers have the ability to create classroom tools that harness the power of student devices. That sounds great but the learning curve is daunting, right? Not really. Tools like TouchDevelop help educators learn the skills they’ll need to invent class or even lesson plan apps. If you’re a teacher who is running a lesson on the color spectrum or the strength of light in a season, inventing an app to demonstrate this concept would bring students a valuable tool. 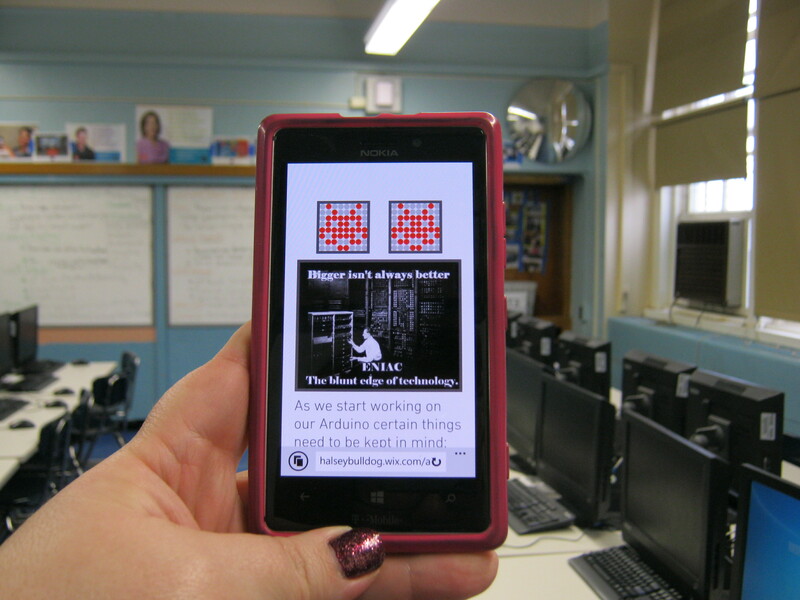 Having the power to create a tool or app usable on a cellphone can help teachers customize their classroom, but it can also be an awesome project for students to tackle. As a homework assignment, let students create an app that demonstrates the difference between words or create a language dictionary. Pull out those old tried and true classroom projects and see if you can’t give them an interactive component. But if you, as a teacher, are daunted, let the students have a chance at inventing apps. To that end my school will be hosting a Mobile Apps Hack-a-thon in March. Our hope is to get the kids making classroom apps that teachers can use, and to excite teachers enough to explore the tools out there that can make their classrooms buzzing hubs of interactive learning. Tools in the classroom should be free and open source in order for students to be able to translate their mastery of skills across their studies. All the tools mentioned are selected for that purpose. *Google Classroom (Formerly Google Apps for Education) — This is a very powerful tool that teachers can use to not only create documents to share with students but create sites, multiple-choice exams, even whole classroom sets of emails that students can use. There are COPPA Laws to consider when dealing with creating sites for students under 13 and some functions don’t work for the younger students (Google+ is 13 and older). Another downside is you have to work within the confines of the predetermined formats. For beginner designers and creators though, this tool is a wonderful place to start to bring interactivity into the classroom on mobile devices or desktop. *TouchDevelop — Windows answer to MIT’s App Inventor is actually more powerful and cross platform. A web-based tool, calling it an App is really referring to Apps as old-school applications, not stand-alone bits of software. Similar to Scratch in its block programming approach, TouchDevelop is versatile and simple enough for students to master in an hour. The added bonus of being able to edit applications on the fly on your smartphone means a teacher could edit an app or quiz while teaching a class.